Bio is also showing its biography of Bill lots and lots of times. Times shown here are Pacific Standard Time. You should check your local listings. I've never seen this picture before and I don't think I've ever seen one like it before. Found on this blog which, contrary to its name, is not about scrapbooking. Although there probably is something out there about Star Trek scrapbooking. 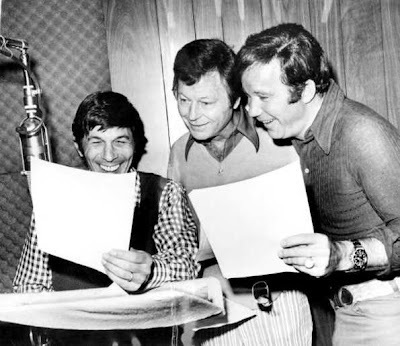 A photo of Nimoy, Kelley and Shatner recording (or just laughing at) Star Trek: The Animated Series. 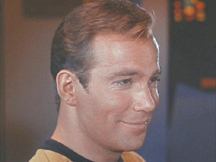 And hot damn, is Shatner in character or what! I refer of course to the prominent EVE. What a pro. It's a plasma conduit! No, it's a planter! No, it's a plasma conduit! Hot-cha! Created by Zi, submitted by Vespero! Thanks to both of you. 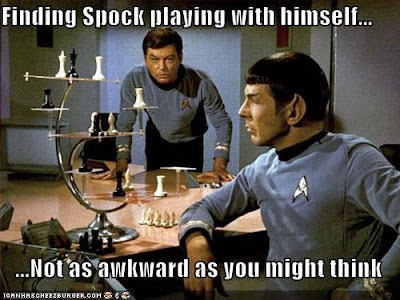 I could do without Young Kirk, but the rest is cool. Thanks to Xtian for the cap! 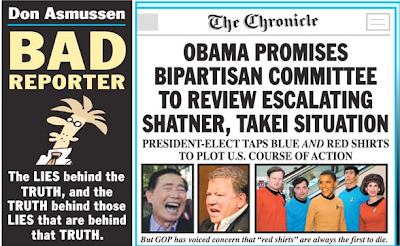 From today's SF Chronicle. 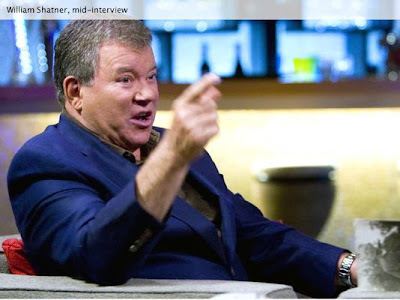 Shatner: always in the news, always relevant, still has no common sense. And I like Obama in the gold shirt! Courtesy of SlashFilm and Peter Sciretta. Click to embiggen. Whee! 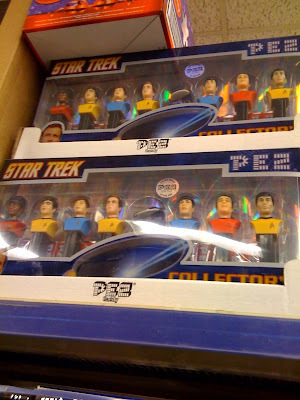 Star Trek Pez Are Here! Thanks to Sean who found them at Target! This is *fascinating*! A very low-key Bill talks about himself, apparently just before they started filming STV. One thing's for sure: he does get an A for Effort. Too funny. 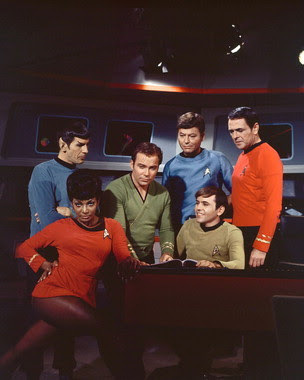 Check it out at the Shatner Project. Bill narrates a show about bad manners! IDEAS FOR SHOW 100???? HELP US! Kirk makes googly eyes at Harry Mudd.